We have finished planting corn for the year, so now we are working on beans. 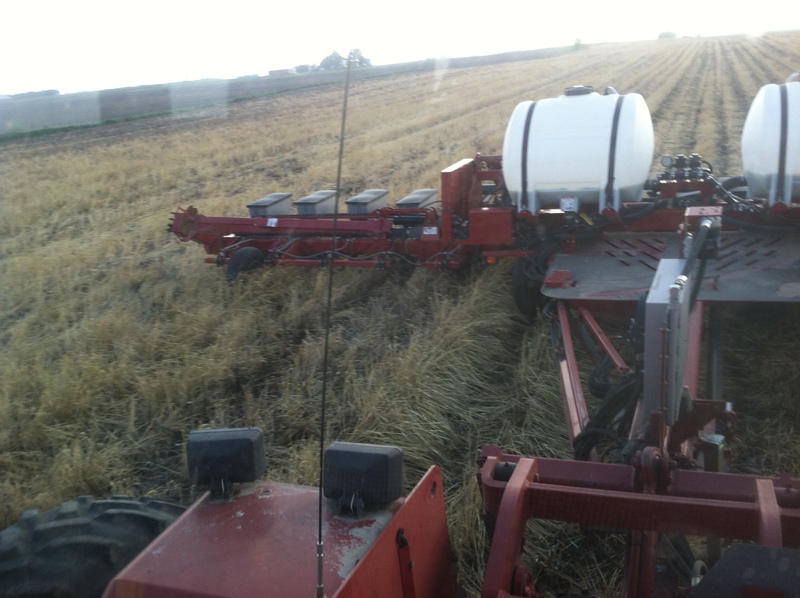 Here, you can see that we are planting no-till beans into the rye we planted as a cover crop. There are also some remaining corn stalks from last years corn crop. 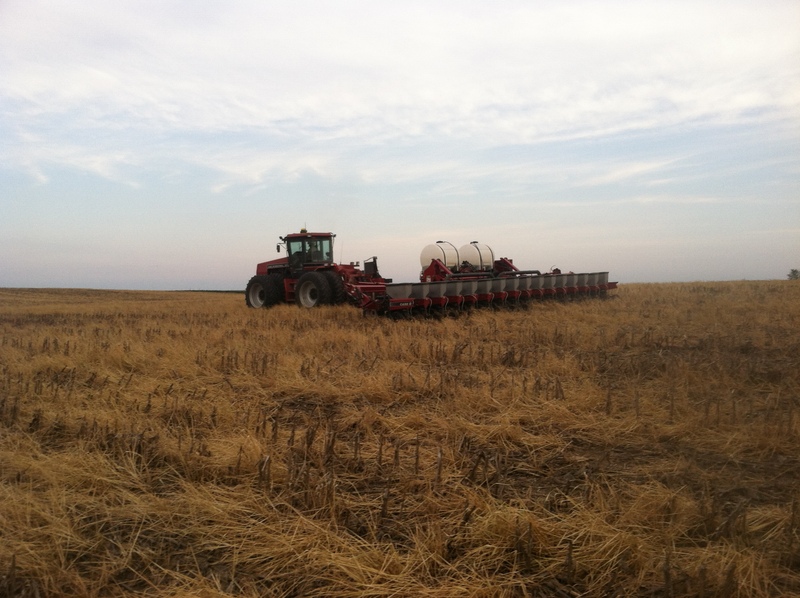 No-till, crop rotation, and cover crops are all farming practices that we use to help with soil and water conservation on our land. Neat, thanks for sharing this with everyone. Very interesting!